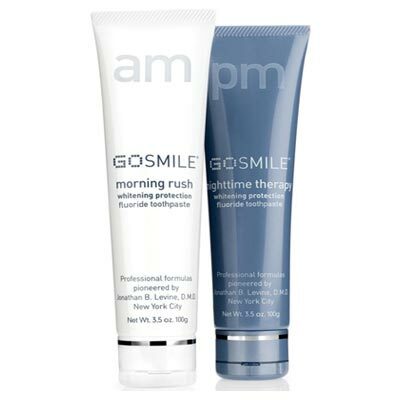 GoSMILE argued that the term "P.M." is weak; indeed, the Examining Attorney had required a disclaimer of PM in GoSMILE's mark, deeming it "merely descriptive because it identifies the period of use of the toothpaste." But somewhat strangely, the Board was not satisfied, pointing out that the PTO had not offered any evidence to support the disclaimer requirement, nor had Applicant offered evidence "indicating that PM is merely descriptive for toothpaste or tooth gel." As reported here at the TTABlog, GoSMILE chose to seek review by way of a civil action in the U.S. District Court for the Eastern District of Virginia, pursuant to 15 U.S.C. Section 1071(b). In its Complaint, captioned GoSMILE, Inc. v. Dudas, Civil Action No. 1:06 CV 291-GBL/TRJ (E.D.Va. filed March 17, 2006), GoSMILE asserted that the TTAB disregarded its evidence (submitted with its appellate brief) of the weakness of the term "PM" based on third-party use, and failed to follow applicable Board precedent, including Knight Textile Corp. v. Jones Investment Co., 75 USPQ2d 1313 (TTAB 2005) (TTABlogged here). By choosing the district court route rather than appealing to the CAFC, GoSMILE would have the opportunity to submit additional evidence on the likelihood of confusion issue, and particularly on the Knight Textile issue of the weakness of the cited mark P.M. Plaintiff will be entitled to present evidence not previously submitted during prosecution of the subject application. The parties agree that "a purpose of this stipulated dismissal is to reopen prosecution" of the application "to have the USPTO consider additional evidence regarding the registrability of the 'GOSMILE PM' mark." "Should Plaintiff ultimately receive an unfavorable decision from the USPTO upon reopening prosecution of the '244 application, plaintiff retains all possible remedy options, including filing a district court action under 15 U.S.C. Section 1071(b)." The dismissal "will not operate as res judicata or collateral estoppel in any proceeding on the issues of protectability and/or registrability of the 'GOSMILE PM' mark, as long as GoSmile presents evidence not previously submitted to the USPTO during prosecution of the '244 application." The Order was agreed to by H. Jay Spiegel, Esq., counsel for GoSMILE, and by Assistant U.S. Attorney Dennis C. Barghaan, Jr., representing the USPTO. TTABlog comment: Congratulations to Jay Spiegel! His decision to seek review via civil action rather than appeal has resulted in a re-opening of prosecution of the GOSMILE PM application and avoidance of the cost of a district court trial and further appeal. We'll keep our eye(s) on this one. Practitioners should take note of this approach to securing review of a Board decision, provided they have additional evidence that was not submitted during prosecution and not considered by the Board. One may speculate that here, the U.S. Attorney's Office was not particularly interested in expending its resources on the trial of an administrative trademark case. The GOSMILE matter may not be unique in that regard.